Blending an all-in-one zoom, 4K video recording, and versatile still shooting capabilities, the Lumix DMC-FZ300 from Panasonic is a multi-faceted point-and-shoot optimized for the multimedia image maker. Featuring a 12.1MP High-Sensitivity MOS sensor and Venus Engine image processor, the FZ300 is capable of recording up to 60 fps with an electronic shutter, 12 fps with a mechanical shutter, or 30 fps using the unique 4K Photo Modes. Working in low-light is benefitted by a top sensitivity of ISO 6400 along with 5-axis HYBRID O.I.S.+ image stabilization to minimize camera shake during HD video recording. The 24x Leica DC Vario-Elmarit lens covers a 25-600mm equivalent focal length range and has a constant f/2.8 maximum aperture for consistent performance from wide-angle to super telephoto. For composing imagery, configuring shooting settings, and reviewing your photos and movies, a large 3.0" 1.04m-dot free-angle touchscreen LCD is available, as well as a 1.44m-dot OLED Live View Finder for eye-level monitoring. Able to handle nearly any image-related task, the FZ300 is a versatile camera well-suited to advanced photo and movie recording applications. The body design features an ergonomic right-hand grip for added support when working with longer focal lengths, as well as dust and splashproof construction to suit working in inclement conditions. Benefitting both stills and movies, Panasonic's DFD (Depth-From-Defocus) AF system helps to quicken focusing speeds while a Starlight AF feature maintains focusing accuracy in low-light conditions. And benefitting both sharing and shooting control, Wi-Fi connectivity allows for wireless image sharing and remote camera control from smartphones and tablets. A 12.1MP 1/2.3" High-Sensitivity MOS sensor pairs with the Venus Engine image processor to deliver fast overall performance and notable image quality to suit working in a wide variety of conditions. The sensor and processor combination help to compensate for diffraction to realize sharper, clearer imagery at smaller apertures as well as a top sensitivity of ISO 6400 to suit working in difficult lighting conditions. This processing engine also contributes to a fast 12-fps shooting rate at full-resolution with the mechanical shutter, 60 fps shooting with an electronic shutter, and 30-fps shooting at 8MP using the 4K Photo modes. In addition to the versatile still shooting modes, the FZ300 also supports recording 4K UHD (3840 x 2160) video with either 30p or 24p frames rates at 100 Mbps in the MP4 format. Full HD 1080p/60 is also supported, as well as slow-motion 720p/120 and 480p/240 recording settings. A built-in stereo microphone can be used during recordings or an optional external microphone can be utilized via the 3.5mm jack for even clearer sound. 4K Burst: Just as with video recording, this mode will allow you to continuously record 8MP images at 30 fps for up to 29 minutes and 59 seconds, making it ideal for instances where you need a fast frame rate in order to capture the best moment. 4K Pre-Burst: This mode is suitable for times when you're unsure of the critical moment to press the shutter button and will record 8MP images at 30 fps one second prior to and one second after pressing the shutter button in order to give you 60 frames to choose from. The built-in Leica DC Vario-Elmarit lens offers a truly expansive 24x, wide-angle to super telephoto range of perspectives with a 25-600mm equivalent focal length. A constant f/2.8 maximum aperture offers consistent performance throughout the zoom range to benefit working in difficult lighting conditions, especially at the longer focal lengths. Five aspherical elements, with a total of nine aspherical surfaces, as well as three extra-low dispersion elements help to control chromatic aberrations and produce sharp, clear imagery while a Nano Surface Coating helps to reduce lens flare and ghosting for increased contrast. The lens' already impressive optical zoom range can be effectively doubled through the use of Intelligent Zoom, to achieve a total magnification of 48x. Extra Optical Zoom (EZ) settings are also available, which crop into the image to generate a narrower field of view, in order to produce 29.4x and 46.9x zoom magnifications at 8MP and 3MP resolutions, respectively. Standard digital zoom can be applied as well to, again, increase the effective zoom range by 4x. Helping to compensate for camera shake when recording HD movies, 5-axis HYBRID O.I.S.+ is an advanced image stabilization system that minimizes the appearance of blur when shooting one-handed video. It corrects for five types of camera shake that commonly affect more dynamic movement types that occur while moving when recording. Also benefitting from the image stabilization system, a Level Shot Function detects the horizon line within scenes and helps to keep it level even if the camera is tilted. A 0.39" OLED Live View Finder features has an impressive 1.44m-dot resolution, 0.7x magnification, and 10,000:1 contrast ratio. An eye sensor is also incorporated into its design to activate the EVF, and deactivate the rear LCD, during use. The FZ300 features a durable design that incorporates extensive sealing at each joint, dial, and button to render it both splash- and dust-proof. The ergonomic body design features a large right-hand grip, rear and side dials for shutter speed and aperture settings control, and four assignable function buttons for quick access to your most frequently used settings. Additionally, the lens features a two-speed zoom design and a left-handed lever for balanced overall handling. Built-in Wi-Fi allows you to pair the FZ300 with smartphones or tablets running the Panasonic Image App for wireless image transferring and remote camera control. For accelerated autofocus performance, DFD (Depth-From-Defocus) technology is employed to quickly calculate the distance to subjects and adjust the focusing position to benefit continuous shooting and movie recording modes. This contrast-detection type focus method also benefits subject tracking performance for maintaining sharp focus on moving subjects. Additionally, supporting working in low-light conditions, a Starlight AF feature enables accurate AF performance in dim environments. A dedicated macro mode allows you to focus on subjects as close as 0.4" / 1cm away. A mechanical shutter enables a maximum shutter speed of 1/4000 sec. and an electronic shutter function avails a top shutter speed of 1/16,000 sec. to better enable working in bright conditions and with wider aperture settings. Creative Panorama mode allows you to create seamless panoramic imagery by simply panning about the scene to capture wide-field views. A built-in pop-up flash can be used to provide additional illumination to scenes. The included lithium-ion battery provides approximately 380 shots per charge when using the rear LCD monitor, or 360 shots per charge with the electronic viewfinder. Create Control modes: Expressive, Retro, Old Days, High Key, Low Key, Sepia, Monochrome, Dynamic Monochrome, Rough Monochrome, Silky Monochrome, Impressive Art, High Dynamic, Cross Process, Toy Effect, Toy Pop, Bleach Bypass, Miniature Effect, Soft Focus, Fantasy, Star Filter, One Point Color, and Sunshine. Photo Style settings: Standard, Vivid, Natural, Monochrome, Scenery, Portrait, Custom, Cinelike D, and Cinelike V.
Picture Adjustment settings: Contrast, Sharpness, Noise Reduction, Saturation, Color Tone, and Filter Effect. Box Dimensions (LxWxH) 7.6 x 6.3 x 4.9"
Lumix DMC-FZ300 Digital Camera is rated 4.6 out of 5 by 81. Rated 5 out of 5 by Steve from Extraordinary high quality camera that offers so much I am a Nikon D300 user who usually takes several lenses and more along on my journeys. I decided to downsize and try this style of camera during an upcoming trip. I have been blown away by the camera's image quality, versatility and ease of use. The digital viewfinder is excellent, and is why I went with this brand over others. Also a plus is the ability to attach 52mm filters to the lens. Even though the pop-up flash has low output, when used within the prescribed range, it does an excellent job, especially when used for fill-in. Overall, I highly recommend this camera to those who want to take quality photos but in a simple manner. Rated 5 out of 5 by Stephen from Exceeds Expectations I have used the FZ5,FZ150 and FZ200 before making this purchase. They were all good choices in their time. But the FZ300 is a big leap forward over the FZ200. The lens is the same as the FZ220(a good thing) but the ergonomics are much better, the button placements improved, the EVF is fantastic and the software greatly enhanced. Autofocus is fast. Having used Panasonic equipment for years, stepping up was an easy transition. 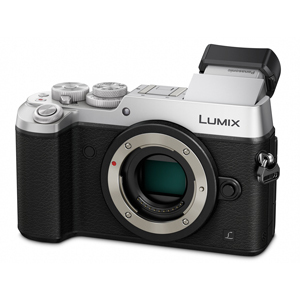 I would note that Panasonic went overboard using plastic (or plastic like material) on the finish for the camera. For the price point they could have given the camera a bit more professional finish. I do not think it will make a functional difference. Rated 5 out of 5 by Lindar from Happy buyer.... I spent time and researched for a good all around camera for nature photography - I shoot birds and macro flowers, so needed both ends of spectrum. It was between the fz1000 vs fz300. I have not used the fz1000 & here's why. The fz300 gives me the reach and speed I need for wildlife, the protection from weather, and great functionality in all other regards. I did a trial run & bought a used one first, from B&H and fell in love. I returned it due to a malfunction (they made it so easy) & bought new. Still learning & having fun. Grab one, you won't be disappointed. Also a shout out to staff for their great service & knowledgeable insight in my buying decision, that is why they have my loyalty. Rated 5 out of 5 by TorontoJim from Just what I wanted: long zoom, weatherproof. Nature, travel, and family photos, probably in that order. I carried a backup, weatherproof camera on every trip for several years. The FZ300 makes that unnecessary. Image quality is about what you'd expect from this size sensor. The zoom is very useful for wildlife. I am not sure what turns on macro focusing. Manual focusing is great: you have a one-push get-started help, picture in picture, and focus peaking. Focusing is fast and accurate. It is possible to 'mute' the focus beep depending on where your left hand is. Watch for the squares and the green circle. I started with a Panasonic battery and took 384 pictures and 10 very short videos. I still have two bars showing in the battery indicator. Better than I expected. Rated 5 out of 5 by Tom D from Lumix FZ300 - Great all in one camera I am a hobbyist photographer, and mostly enjoy taking pictures of nature, landscapes, animals, car shows, etc. I also own a Fuji XE-1 mirrorless camera and a Nikon D3300 DSLR. Both of these APS-C sensor cameras are capable of much better image quality than the FZ300, but at a MUCH higher cost when you factor in the cost of lenses. For screen use and for 5 by 7 prints, the Lumix is just so much fun to use and the image quality is really very good considering the small sensor size. 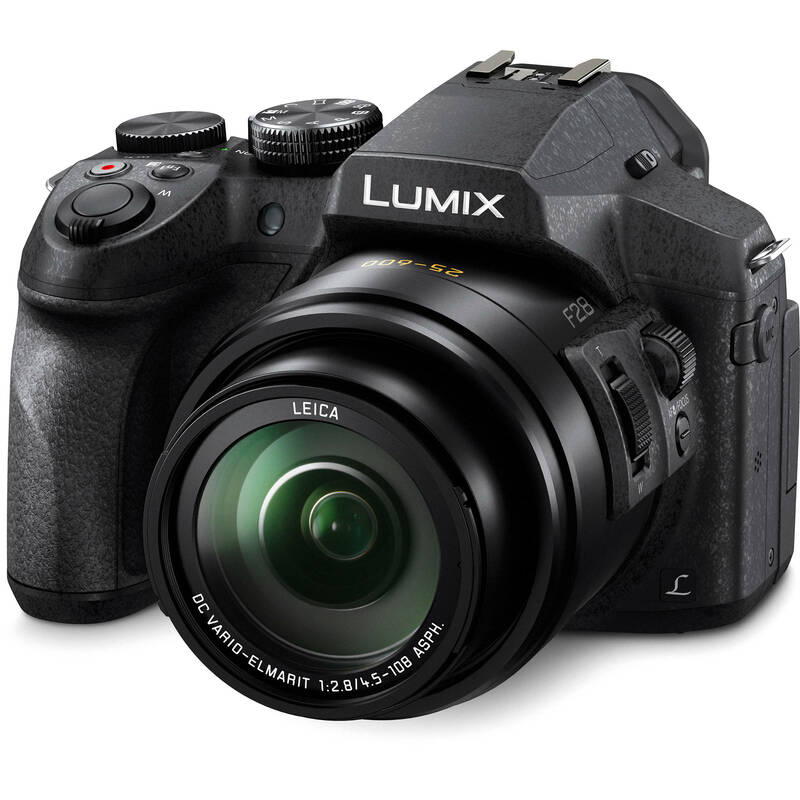 The Lumix shoots 4K video, focuses incredibly fast, and is just generally a great camera. 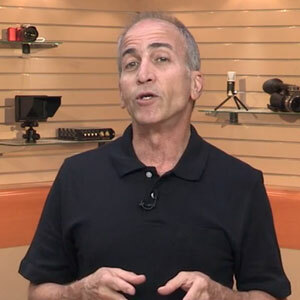 Rated 5 out of 5 by Gary from Just bought the DMC-FZ300 and it is absolutely fantastic. I have the DMC-DZ200 now as a back up and use my new DMC-FZ300 as #1 in shooting. It is really wonderful with many new features. It's like having a special computer inside my camera. They give you a basic print out to start using your camera but it comes with a 350+ pages CD that tells you so much about this fantastic camera. I have reviewed 50+ pages so far and so much more to learn about this camera. The zoom is outstanding. I have taken photos of our moon up here in NH and compared them with my friend's Nikon that has a 300mm add on lens. His photos from the Nikon showed me that our moon was egg shaped and so sad. For the cost of this camera, NOTHING else can beat the DMC-FZ300. Enjoy!! Rated 5 out of 5 by Anonymous from Photography bliss I consider myself an amateur photographer, but the Panasonic Lumix DMC-FZ 300's capability makes me look like a professional with a DSLR. It is that good! The extensive list of features far surpasses any camera I have previously owned (including SLR) for about the same price. The sharpness, clarity and overall quality of my photography is in the exceptional range even with the 1/2.3 sensor. Because I particularly like to photograph nature, I am benefited by the long zoom and wide-angle lens, the 2.8 aperture and the 25-600 mm features of this camera. The 4K burst photography allows me to select the perfect frame from a series, and save, an outstanding feature! There are many other great elements I haven't touched on, probably because I haven't been able to put the camera down long enough to investigate further, but believe me, I will! Rated 5 out of 5 by DKnight from Improvement over the FZ200 If it wasn't for dropping my FZ200, I would never had known what I was missing. This is really a nice camera. It is a bit bigger than the FZ200, but the features ... I won't repeat what others have already said, if you have the money I would recommend that you buy this one. Also got the FZ1000 at the same time I got this, but at this time have only used the FZ300. Will review the 1000 once I put this camera down to play with the other. What is the data rate (bitrate) in video mode ? this camera and the g7 , which one is better? It depends on what your use case is. The G7 will have better IQ since it has a bigger sensor, but you will carry around a lot of glass to cover the range of the FZ300. The FZ300 takes quite good images and in my experience, it is the camera that is most likely to be ready to take that once-in-a-lifetime ephemeral shot that just won't wait for you to change lenses or think about optimum settings. There are many reviews available to compare image quality, but you have to use the camera to get a feel for its readiness. In my book, the FZ300 gets very high readiness scores and the 4k video is quite good as well. If all your shots are planned, the G7 will make better pictures. If you carry a camera to capture the moment, the FZ300 wins hands down. Answered by: Birney D D.
For this inquiry, please e-mail us directly to photo@bhphotovideo.com. Does O.I.S. work in 4K recording mode? As per Panasonic: 5-Axis HYBRID O.I.S. works in video recording except for 4K video recording. Therefore, no, when shooting in 4K, 5-axis HOIS does not work. How do I pull 8MP stills from 4K video? When playing back the video, pause it around the moment you want to save. You can then go frame by frame forward or backward, and save that frame as a still image. Can you manual focus with the side focus wheel while videoing? Yes, you can manually focus when recording video. Is an AC adapter / power supply available or is it battery only? You can use the Panasonic DMW-AC10 AC Adapter.